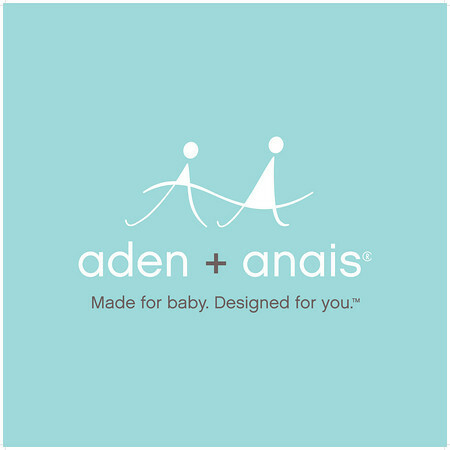 I have reviewed quite a few items from Aden + Anais, from their swaddling blankets, to sleeping bags to their Mum + Bub Line. This time I reviewed a different kind of product. I received the Up, Up & Away Crib Sheet. Still made of their wonderful 100% muslin. It's breathable which means it helps regulate heat. It is cool in the summer and warm in the winter. I love the breathable factor. It helps cut down on sids. Emerson likes to pull his blanket up to his face to sleep, it doesn't bother me since he's 7 months old, but when he was 3, it was a bit freaky. With this sheet it makes things a bit less nerve wracking. He might have a blanket right up to his face (it's ALWAYS a muslin blanket though since that's all we own for summer) but his sheet is breathable, so he's still getting more air flow then if he were up against a regular cotton sheet. The sheet was a bit rough when I first opened it. Similar to their blankets, but since I knew his bare skin would be sleeping on it, I decided to wash it twice first. It got softer with each wash and it continues to get softer and softer each time. I love this sheet. It's thin, and breathable, but will still regulate his temperature and make him more comfortable. The sheet comes in regular and Organic and comes in lots of prints and solids! Price: $29.95 for the regular and $39.95 for the organic. $30 isn't bad. You only need 2 crib sheets anyway! Overall: ***** I love Aden + Anais.